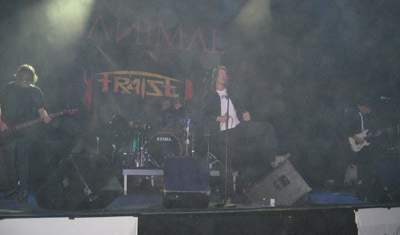 Fraise is an metal project from Alingsås in the west part of Sweden. It started back in 2002 when Patrick Fransson recorded some songs when the project take place. Patrick has previously played in bands like Cathedral, Blue Orange, Velvet Crash and punkrockers Räserbajs. 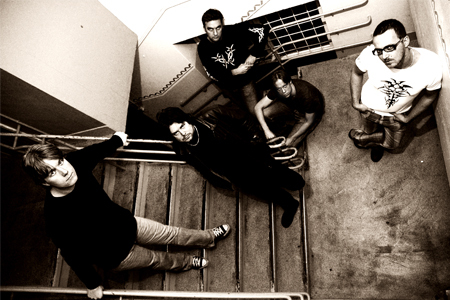 2004 released " Hellicornia ", self-produced album, it attracted members from different bands. Simon Lindholm on bass, Anders Karlsson-Guitars, Håkan Ivarsson-keyboard and Jesper Max on vocals. The album received overwhelming critical acclaim. The band performed a handful of gigs in Sweden and a German tour company showed interest in a small European tour and also a Swedish record label. But Jesper stay out from rehearsals gigs where booked, so the band had to cancel sometimes resulting in both negotiations fizzled out. 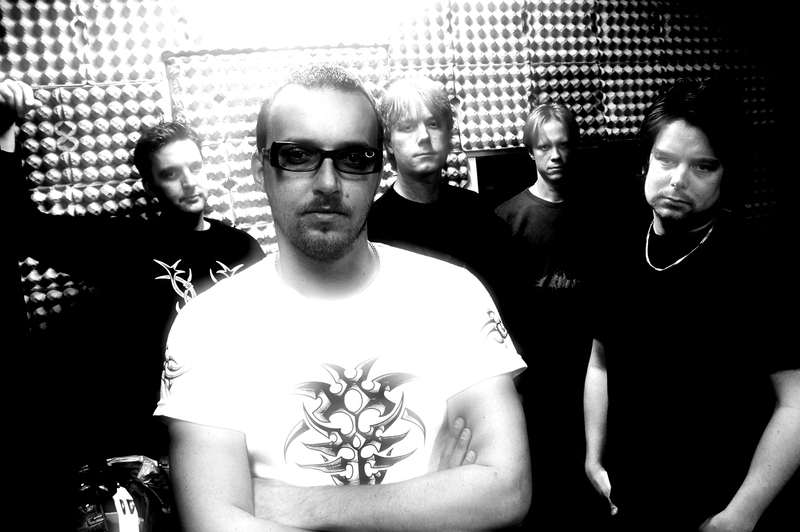 Guitarist Anders Karlsson went back to his old band Haze and was replaced by Christian Doyle. It was a long time without singer between 2005 & 2006 when they received a tip about Jimmie Nielsson, who temporarily stepped in and performed a gig but soon thereafter was replaced permanently by Ola Hedman. 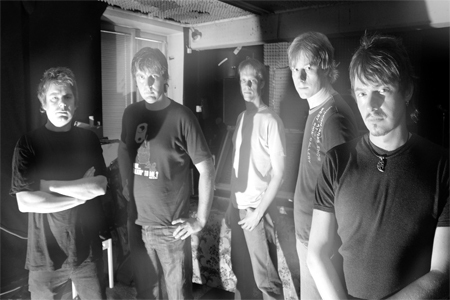 The recording of the second album, "A new beginning" started and was released in the fall of 2007, and it also did a handful of gigs including Trägårn in Gothenburg. The band had then kicked keyboardplayer Håkan Ivarsson. Two years later, the recording of the third album "Siamese Conspiracy" where even Ola and Christian were involved in the songwriting that previously had been left to Patrick. After all guitars were recorded Christian declared that he was forced to drop out because of their eczema. To bring in a new guitarist and re-recorded all guitars again would take too long. And Christian had done a great guitar work as well. A decision to keep Christians guitars but some of the solos were played by Gunnar Hard af Segerstad (Disdain) as new prospective guitarist. Svante Widerström who placed the base of the two songs had increasingly begun to engage with his own band Arbogast, so Svante had to jump off and the bass was recorded about Ola himself who also plays acoustic guitar and keyboards on the record. Simon Lindholm was available for Fraise choice was obvious, Simon who played on the debut album "Hellicornia". They invited several guitarists but no one seemed to scratch enough. The album "Siamese Conspiracy" had now been finished for a while and in 2014 it was decided to release. When the process has been so protracted, Ola Hedman lost motivation which came with a drop off. Fraise made a big distribution deal with Distrosong AB and release their third album "Siamese conspiracy"
After a while, when the "Siamese conspiracy" album was released began new good ideas grow, with all the good feedback in the suitcase from fans all over the world, great reviews, interviews to webb magazine and so on, it was a duty to record something new. Old time metal friend Fredrik Falkerstedt took care of six-string ax instead of Gunnar and Staffan Ericson was definitely the right person to grab microphone. Simon Lindholm has always been in the background as a bass player and ready to rock when Svante quit. A request to keyboardist Ola Mauritz been asked to participate in the new production, and after a few listens to the new songs they never hesitated to make a new recording. With strong new material, a new fresh sound and a really good strong line-up started the recording of the fourth album titled: Circle-O-Zero with release in February 2017. A worldwide effort with the previous distributions company Distrosong makes it possible to reach out to all the download sites. Even printed discs to reach out to the stores, in the time of writing, only order via Fraise website. What happens in the future, only time will tell.